New Mexico Shooting Sports Association sees it as a clear violation of the Sheriff’s ability to carry out their oath to protect the U.S. and New Mexico Constitutions. We stand with our law enforcement leaders and thank them for protecting our rights. If you are unable to attend the Annual Meeting or the Freedom Coalition Dinner, we ask that you invest $25, $50, $100, or more today to support the cause and help us prepare for 2020. We are committed to the fight, to our Sheriffs, and to the future of the Second Amendment in New Mexico. Are you? Join us and make the difference. Last Thursday, March 14, the New Mexico House passed SB 328, sending it to the desk of Governor Michelle Lujan Grisham. This bill goes beyond federal law by removing certain individuals’ Second Amendment rights. It broadens the scope of misdemeanor offenses, prohibiting individuals of the possession, purchase, and ownership of firearms. Click the take action link below to contact the Governor and strongly urge her to veto SB 328. If you would like to find out more about what’s happening in New Mexico and would like to become involved in our Grassroots efforts, contact me at amanda@nrailafrontlines.com or call (703) 943-6566. SANTA FE – Want to help wildlife in need of conservation? It’s as easy as filling out a line on your state tax return to donate some of your tax refund to the New Mexico Department of Game and Fish Share with Wildlife program. Since its inception in 1981, the Share with Wildlife program has funded many projects and organizations. A long-term recipient of funds is the New Mexico Wildlife Center, a nonprofit in Española where sick and injured animals receive veterinary care, treatment and rehabilitation before being released back into the wild. “People who contribute to the Share with Wildlife program make all these wildlife projects possible,” said Ginny Seamster, the department’s Share with Wildlife program coordinator. Donations to the program are matched by federal dollars to maximize the support for wildlife. More than $1.7 million has gone to research, habitat enhancement, education and rehabilitation projects in the past 10 years. All donations fund projects, not program administration. The program is reliant upon donations, especially through tax refund contributions. To donate part of your state tax refund just fill out line 2 of PIT-D, the voluntary contributions schedule. Visit the state Taxation and Revenue Department at www.tax.newmexico.gov for tax forms and instructions. Donations also can be made directly to the program or by purchasing a Share with Wildlife license plate from the Motor Vehicle Division. Please visit the department’s website at www.wildlife.state.nm.us/share for more information or contact Seamster at (505) 476-8111 or virginia.seamster@state.nm.us. 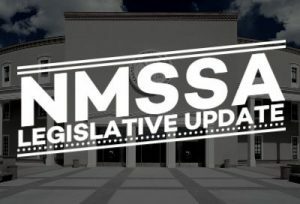 The New Mexico House could hold the final vote on SB 8 as early as tonight! This bill would criminalize almost all private sales of firearms, would force gun owners to pay fees, and force them to obtain government approval before making these private firearms sales. This is your last chance to contact your lawmakers and make your opposition known, before this bill heads to the Governor’s desk. 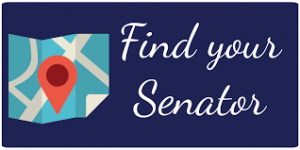 Click on the take action button below to contact your state Representative and strongly urge them to oppose SB 8 when it comes up for a vote. Stand up and shout “Our Rights Shall not be Infringed!” Contact your lawmakers now! If you have questions about what is happening in New Mexico and would like to become involved in our Grassroots efforts, contact me at amanda@nrailafrontlines.com or call (703) 943-6566.
https://www.sandovalcountynm.gov/commission/sccmeetings/ along with emails for the commissioners. The resolution that is being proposed is for 2nd Amendment Sanctuary status for Sandoval County. The “sanctuary” wording is misleading to some members so here is the actual resolution. BE IT FURTHER RESOLVED that this Board will not authorize or appropriate government funds, resources, employees, agencies, contractors, buildings, detention centers or offices for the purpose of enforcing law that unconstitutionally infringes on the right of the people to keep and bear arms.